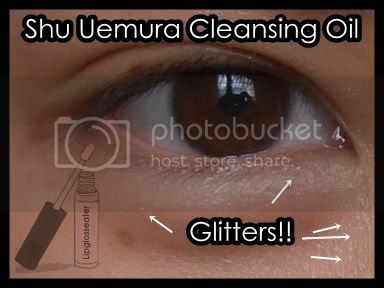 Gripes: Doesn't remove glitters thoroughly, expensive, contains mineral oil! Jenn's Rating: 2.5 Stars! 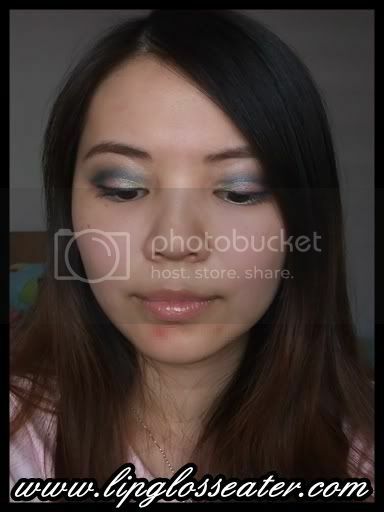 It's just ok for me... would be great if it removed glitters well too!! With a warm, enveloping aroma. For an enriching cleansing experience. Contains bitter orange peel, tomato and red pepper extracts known to enhance cutaneous microcirculation. For dry skin conditions. This cleansing oil feels just a little thicker than the usual cleansing oils. It emulsifies once it comes into contact with water as usual, and it rinses clean. I love how soft this made my skin felt! I was a little disappointed that this one smells more spicy than citrusy... i thought it would smell something like my MAC Cleanse Off Oil since this one has Bitter Orange in it too! While this did remove most of the makeup from my face nicely (and left my skin really soft after), it did not remove glitters well. Also i find that i have to use a little more product and massage my face longer to get all the makeup off! It's obvious which one i preferred more!! lol!! :D After sampling several cleansing oils, the MAC one still reigns supreme for me in terms of product efficiency and scent (lol!!)! I won't repurchase this because of this reason, and also because i sometimes break out from products containing mineral oil, so i'd skip just to be on the safe side! 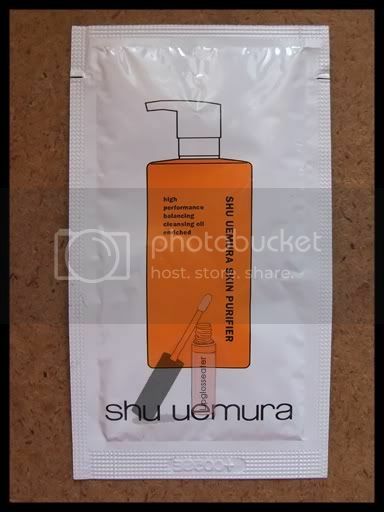 Credits: Product photos from Shuuemura.com.my. I don't like this Shu Cleasing oil either. gave me a rash. My preferred one is the original or A/I one. 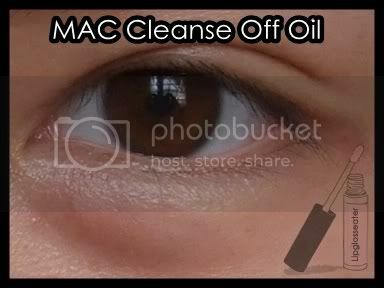 but they still don't cleanse as well as MAC cleanse off! thanks for the review! i have the mac one but was interested in seeing how the shu one compared since everyone always raves about it. 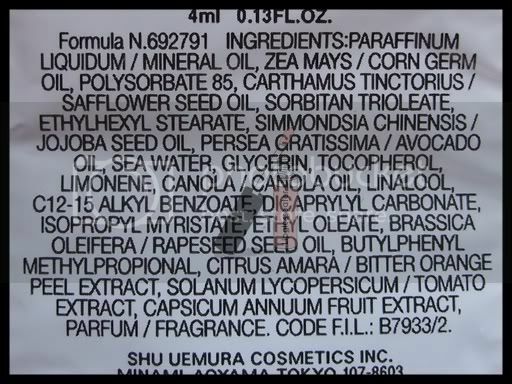 havent tried MAC cleanse off oil before...but i think there are quite a few better oils out there than the shu uemura. I used the Pink Version for 2 bottles. But the price is unsustainable. Haha. I've switched to SANA's Cleansing Oil. Paris: ic!! Nowonder this one felt quite moisturizing when i used it! I only realised it's made of mineral oil after reading ur review! Now I've abandoned this and opt for DHC cleansing oil, will try MAC too, since it's raved by you. 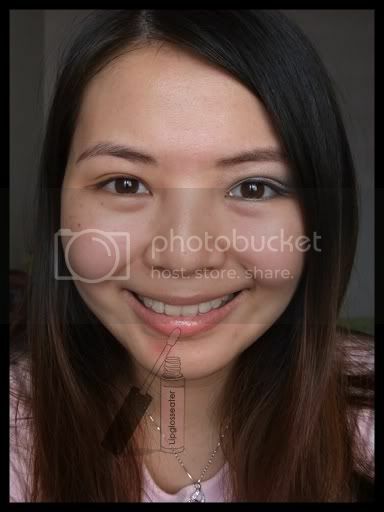 By the way, found your blog really lovely, especially with your cute style of blogging.